Floor Squeegee Lets You Quickly Remove Water From Surfaces To Prevent Injuries From Wet Floors. 14-Gauge, Galvanized Steel Frame With Epdm Rubber Is Durably Constructed For Reliable Performance. Squeegee Can Be Used With An Acme Threaded Insert (Sold Separately) For Use With Various Handles. Squeegee Is Perfect For Use After Mopping For A Clean, Dry Floor In Garages, Kitchens, Bathrooms Basements And Pool Decks..
7920005774745 "Squeegee, Window-Cleaning, 12" Wide "
7920005774746 "Squeegee, Window-Cleaning, 16" Wide "
7920014875024 "Qck Cln Grdl Cln Systm 7"Sqgee"
7920005774744 "Squeegee, Window-Cleaning, 10" Wide "
Floor Squeegee Lets You Quickly Remove Water From Surfaces To Prevent Injuries From Wet Floors. 14-Gauge, Galvanized Steel Frame With Epdm Rubber Is Durably Constructed For Reliable Performance. Squeegee Can Be Used With An Acme Threaded Insert (Sold Separately) For Use With Various Handles. 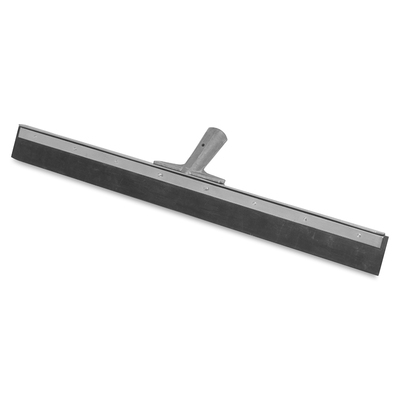 Squeegee Is Perfect For Use After Mopping For A Clean, Dry Floor In Garages, Kitchens, Bathrooms Basements And Pool Decks.